Hollybeary Creations : Holiday Wishes with the Divas..
Holiday Wishes with the Divas.. 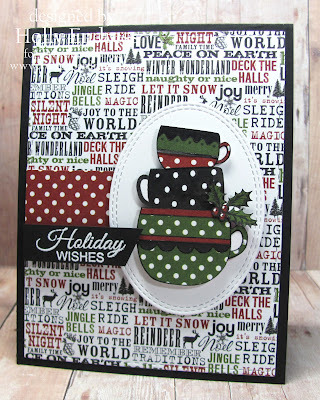 I stamped the image onto a piece of white card stock using some Black ink and then I stamped it again several times onto some pattern papers from the Christmas Home Stack from Teresa Collins. And paper pieced the cups. I also cut out a Holly from the papers and added it to the bottom cup. I die cut another piece of paper from the same stack using the largest rectangle stitched die from YNS and I aded it to a Black top folding card base. 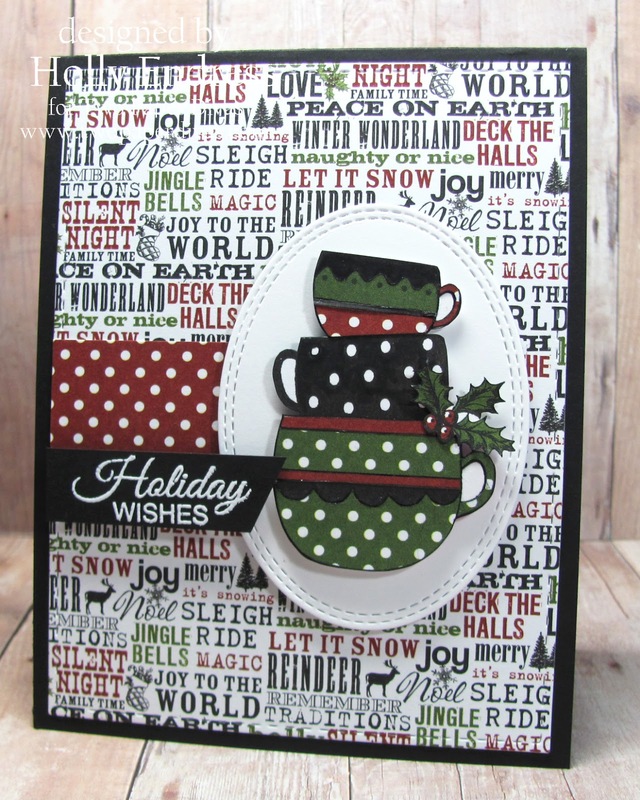 The sentiment is stamped onto a piece of Black card stock and heat embossed in White.. It's from the new set Truffle Treats. 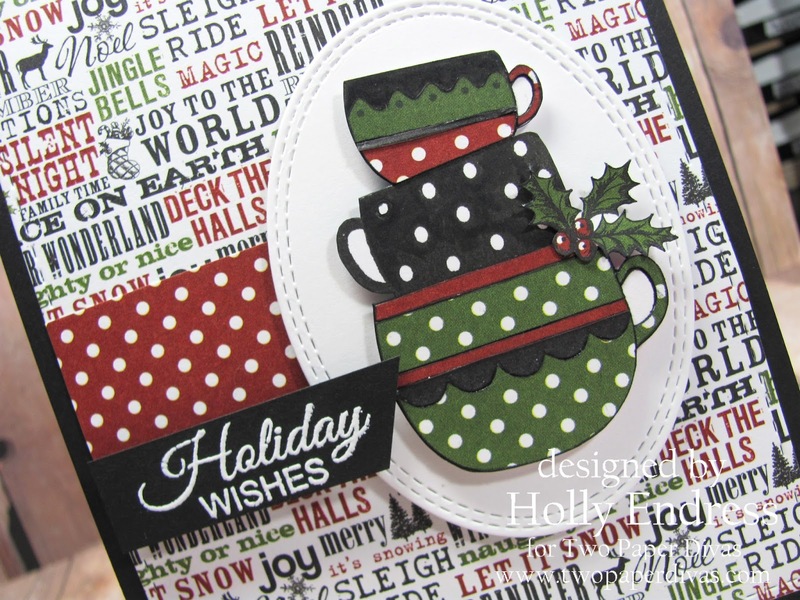 I cut the cups out and added them to a Double Stitched Oval from MFT and added it to the front of the card with dimensioanls. Head over to the Two Paper Divas blog for more inspiration. Love all the polka dots. This card might have been hard for you but it turned out adorable! Of course, I love paper piecing and polka dots so you definitely had my interest from the word go! Super cute!! !